Gustav “Gus” Hansen is a true poker icon in Scandinavia, where a lot of people hold him as the best poker player in the world. Hansen started out as a world class backgammon player, but has made a successful switch to poker. The Dane is known to take big risks during the games and has gained great popularity because of this. However, his critics claim that he’s too daring, and reliant on luck to win. Whatever the case, Hansen has had great success over the years. 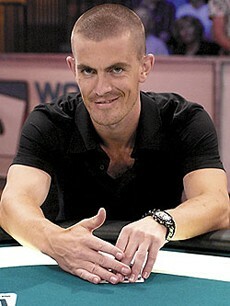 For example, he has won four titles on the World Poker Tour.